1. Preheat the oven to 450 F. Cut the tofu lengthwise into 4 slices. Cut each slice into 2 triangles. 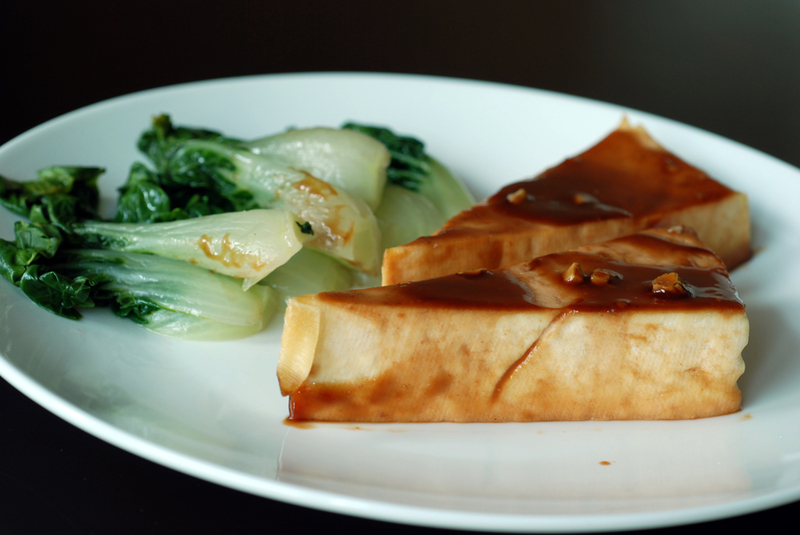 Place the tofu triangles on a plate and cover with plastic wrap. Top with a second plate and a heavy weight and let stand for 10 minutes. 2. In a small bowl, whisk together the hoisin sauce, vinegar, brown sugar, soy sauce, mustard, chili garlic sauce and garlic. Spread 1/3 of the mixture in an oblong baking dish. 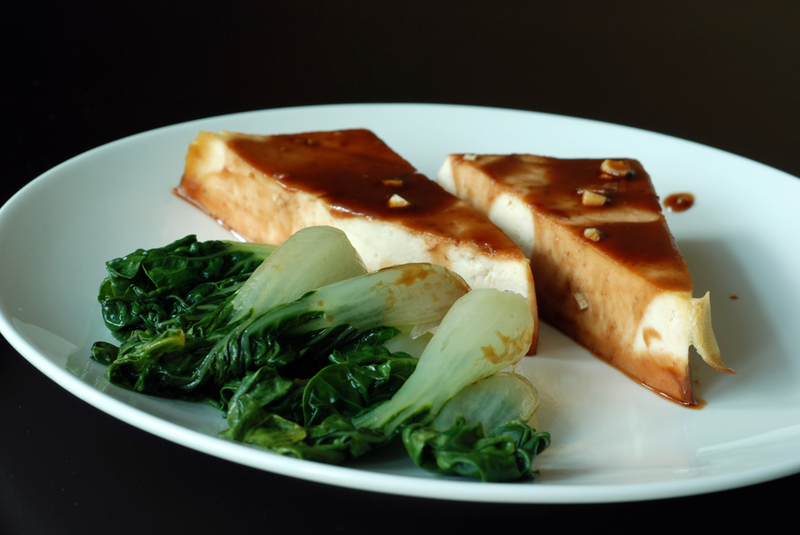 Drain the tofu, arrange the triangles in the dish, and top with the remaining hoisin mixture. Bake until heated through, 10 to 15 minutes. 3. While the tofu is baking, bring 1 inch water to a boil in a large pot fitted with a steamer basket. Add the bok choy, cover and steam until tender, 6 to 8 minutes. Transfer to a plate. Sprinkle with the sesame oil and salt. Serve 4 bok choy halves and 2 tofu triangles on each individual plate. Ooo I’ve never tried tofu with hoisin sauce like this! I love the idea.